What do the former mayors of Malibu and San Diego, a former member of the California Coastal Commission, and a former captain of the County of Los Angeles Fire Department have in common? In a soon-to-be released documentary film entitled “Sins of Commission”, these former public servants, along with several other aggrieved property owners, describe in painful detail the transformation of the California Coastal Commission as a protector of the environment into a radical bureaucratic monster. Those who view the Coastal Commission as integral to the battle to protect the coast from “big developers” will be surprised to learn that it typically chooses to pursue fines against individual property owners who lack the resources to fight back. Consider the plight of Kathleen Kenny, who was fined by the Coastal Commission for building a 742 square-foot cottage on an existing, developed pad in Topanga Canyon, California. Not coincidentally, the California Attorney General’s Office, which represents the Coastal Commission, imposed the fines and served a lawsuit against Ms. Kenny the same day that a County of Los Angeles building inspector and two sheriff’s deputies showed up at her front door with a search warrant. The building inspector, Grant Lawseth, was miffed when Ms. Kenny published an 8-page newsletter to 3,000 Topanga Canyon residents accusing him of seeking bribes in exchange for Building Department approval. In an amazing turn of events, a federal jury in 1997 found that Mr. Lawseth had engaged in a continued practice of racketeering and awarded damages to Ms. Kenny under the Federal Racketeering and Corrupt Organization statutes. Despite Ms. Kenny’s recent death and the astonishing jury verdict, the Coastal Commission’s fine is still on the books against her partner, Arthur Starz, which now exceeds over $2 million. Sadly, the practice of government extortion of private property owners is not unique to Ms. Kenny. Shortly after the Legislature designated the Coastal Commission as a permanent bureaucratic entity in 1976, the Coastal Commission embarked on an expressed policy of forcing private property owners to relinquish portions of their land to the state in exchange for a building permit––a tactic which the United States Supreme Court in 1987 labeled “an out-and-out plan of extortion” in Nollan v. California Coastal Commission. In Nollan v. California Coastal Commission, the Supreme Court held that there must be damage caused by the permit seeker and a nexus or connection to the exaction. Thus, if a home is to be placed on a public path, the permit seeker can be required to dedicate a comparable path to the public. In Dolan v. City of Tigard, the high court clarified the rule: there must be a rough proportionality between the harm to the public and the exaction imposed on the property owner. The Coastal Commission’s policy willfully ignores a fundamental attribute of private property ownership: the right to exclude others. The Supreme Court has characterized this right as “one of the most essential sticks in the bundle of rights that are commonly characterized as property.” The Coastal Commission deprives property owners of this “essential stick in the bundle of rights” by its extortionist land dedication requirements. Indeed, the Coastal Commission has even attempted to deprive a property owner of the right to place a “no trespassing” sign on his property, contending that placement of the sign is unpermitted “development.” Thankfully, the California Court of Appeal in LT-WR, L.L.C. v. California Coastal Commission restored sanity and confirmed that Californians still have the right to place “no trespassing” signs on their own property and do not need a permit from the Coastal Commission to do so, notwithstanding the Coastal Commission’s contention that this could potentially interfere with public prescriptive rights. It is disconcerting, to say the least, that the Coastal Commission, backed by tax dollars and the Attorney General’s Office, would take such a position in a court of law in the first place. Consider also the Coastal Commission’s decision to label chaparral vegetation in the Santa Monica Mountains to be an environmentally sensitive habitat area (ESHA)––a decision without legislative oversight and based solely on the opinion of one so-called “expert” handpicked by the Coastal Commission. This label drastically curtails a property owner’s ability to productively use private property. Even a self-sustaining organic garden would be a prohibited use without a permit. Most of the land in the Santa Monica Mountains contains chaparral. Unfortunately, chaparral also is a primary source of fuel for fires. The ESHA designation precludes fire departments and local governmental entities from adopting their own fire protection measures and prevents private property owners from clearing brush as a buffer in the event of fire. Chaparral has been a major contributor to the recent fires which have plagued the state. Local residents and their governments must now live with a high risk of fires. And then there is the ongoing plight of Dan Norris and Peggy Gilder, who purchased raw land in Topanga Canyon––not to live on, but to organically garden and hike with their children. The land came with an old, preexisting road, which over time had become obstructed with debris, rocks, and foliage. It never occurred to Norris and Gilder that the Coastal Commission would require a permit to clear a preexisting road to ensure access to private property. After receiving a notice of violation from the Coastal Commission for unpermitted “development” in an ESHA, the Coastal Commission arranged for an inspection of the property. Norris and Gilder wanted to film the inspection to protect their rights, but the Coastal Commission objected to being filmed. Without notice to Norris and Gilder and their legal counsel, the Coastal Commission then sought a civil inspection warrant from a Los Angeles County Superior Court judge to allow the inspection to occur without filming and to allow forcible entry onto the property. Sensing the constitutional implication of precluding a private property owner from filming a government inspection on private property, the judge requested briefing on the issue. Rather than run the risk of an adverse ruling, the Coastal Commission withdrew its request for the warrant. The California Legislature bears much of the responsibility for the Coastal Commission’s flagrant abuses of power. It created an entity that acts as a legislator (as in the ESHA definition), adjudicator (it hears appeals brought by aggrieved property owners), and executive administrator (imposing fines). The English historian Lord Acton famously remarked that “absolute power corrupts absolutely,” and the Coastal Commission is a prime example. The Coastal Commission’s treatment of Ms. Kenny and numerous others has nothing to do with environmentalism, and everything to do with selective intimidation and violation of basic civil liberties. Backed by the power of the state’s Attorney General’s Office, what chance do private property owners in California have of fighting back? Very little. The vast majority of private property owners are just like Ms. Kenny, who desire only a residence to live in and do not have the hundreds of thousands of dollars needed to pay for attorneys to battle the state. 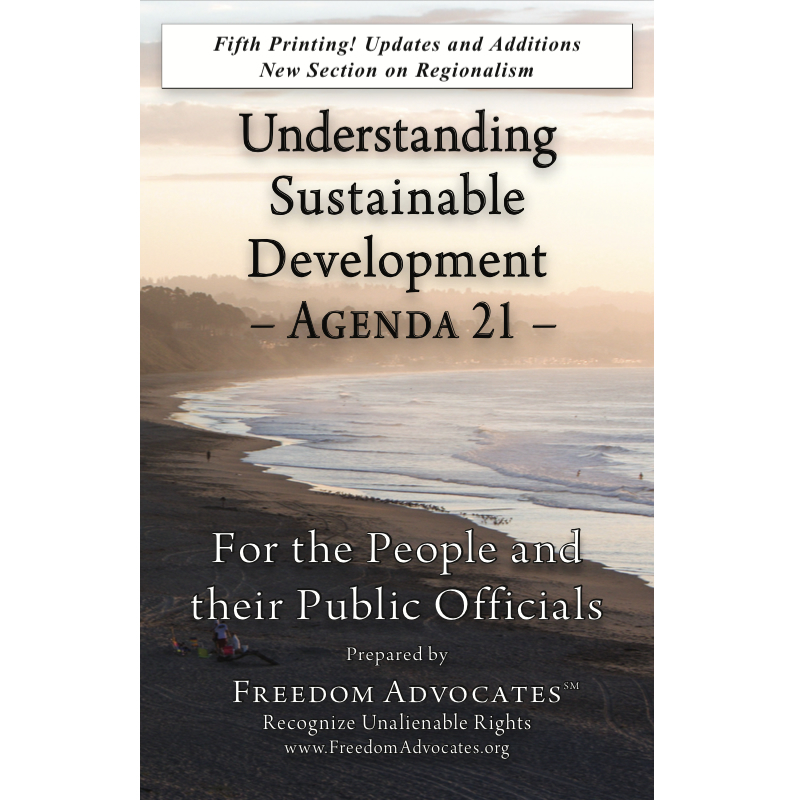 In short, only the people through their legislative representatives can make the changes necessary to restore both environmental protection and freedom of property ownership in California. In the documentary film, Peter Douglas takes delight in describing himself as a “radical pagan heretic” and characterizes property owners who assert their constitutional rights in court as “jihadists.” It is submitted that no one, radical pagan or otherwise, should be acting as judge, jury and executioner over the people of California. Ronald A. Zumbrun is Managing Attorney of The Zumbrun Law Firm, a Sacramento-based public issues firm. Timothy V. Kassouni, Legal Director with the firm, substantially assisted in the preparation of this column and also is lead counsel for Dan Norris and Peggy Gilder. You can learn more about The Zumbrun Law Firm at http://www.zumbrunlaw.com/. “Sins of Commission” is produced by Richard Oshen of Pacific Coast Highway Productions. See http://www.sinsofcommission.com/ for more information.